We have had a productive and exhausting week. Friday, February 24 was our last day working for US EPA and UC Berkeley. We each had wonderful send-off parties and left feeling supported on our journey. The moving truck is packed. It all fits! Over the weekend we finished packing up our apartment, a task which always seems to take longer than expected. 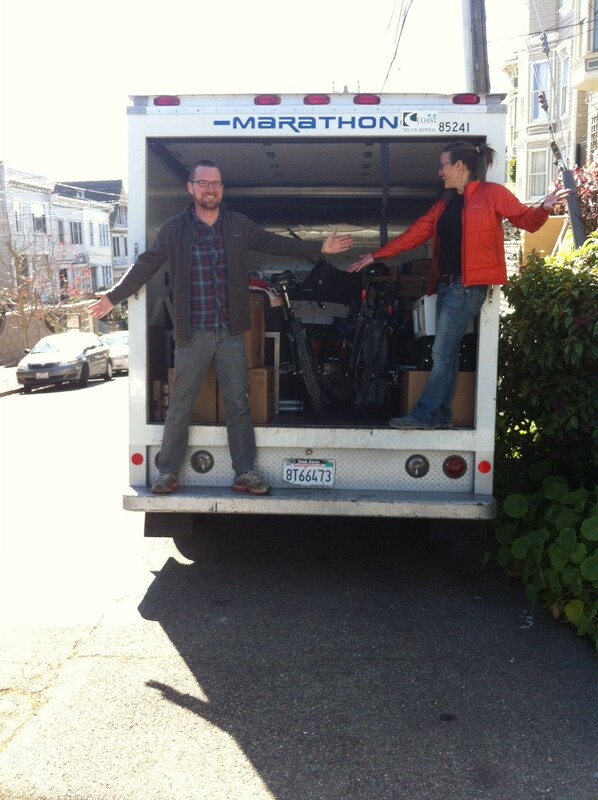 Then on Monday we picked up a rental truck and moved all of our possessions into a 5×10 foot storage unit. Luckily, everything fit. Tuesday was devoted to buying food for the Pacific Crest Trail, with stops at Rainbow Grocery, Sports Basement, and Whole Foods. It was helpful to have an empty apartment to spread out all the food before repackaging and splitting into boxes. Food preparations continued until Wednesday night when we moved all the boxes to Jim and Cindy’s garage. We will post more details about our food boxes soon. We are just glad that detailed and time consuming step is done! Thursday morning, March 1, we finished up a bit of apartment cleaning and headed out of San Francisco. Crossing the Sierra Nevada mountains at Donner Pass, we noticed a sign indicating a PCT trailhead. We were excited to realize we’ll start hiking the trail in less than two months! Walking will be much more relaxing and enjoyable than driving. We are leaving the SF Bay Area because Anna has developed a bad mold allergy. However, we haven’t decided which dry climate city to move to next. That’s why we are going on a road trip prior to hiking the PCT. The cities we plan to explore are: Boise, Ogden, Salt Lake City, Fort Collins, Boulder, Santa Fe, Albuquerque, and Flagstaff. These city visits will be a combination of exploring the neighborhoods plus training for the PCT since we plan to walk around town with our fully loaded hiking backpacks. We’ll get some day hikes and short backpacking trips in the mix too, because those are a big feature of the cities we’re considering. Let us know if you have suggestions for things to do in any of these cities, whether hikes, restaurants, parks, cool neighborhoods, art museums, or local hangout spots. If you have general thoughts, we’d love to hear those too! We are very much in information gathering mode (don’t worry, we have a spreadsheet to keep track of it all ;-) ). We already miss our San Francisco friends and family. But at the same time we are very excited for the surprises and adventures which lie ahead. Great, thanks Ang. Our spreadsheet is hungry! And obviously there is RMNP, Brainard Lake recreation area, 4th of July trailhead and a quadrillion others w/in 20-30 miles of Boulder. These detailed suggestions are really helpful, thanks Charles. Maybe we can do one of these together! Absolutely, sounds like a good time! I have really enjoyed following your journal and I hope to have the opportunity to say Hello at the KO. I too am in the Class of 2012. My feedback is specific to the New Mexico section of your trip, all of which sounds terrific. Urge you to consider a one hour and 10 minute detour north of Santa Fe to take in Taos. Taos is an artist community with a rich history including the mountain man era – Kit Carson lived in Taos. In addition to the much smaller and significantly more laid back vibe (when compared to Santa Fe) there is outstanding, above the treelike hiking readily accessed from the Taos Ski Area. In fact, the Taos ski area parking lot is at 9,200′, so you can gain elevation quick here. Highly recommend it. We have been to Taos 8x now, all hiking trips. I believe Taos has had a big snow year – and trails will likely still be snowbound well into May. However, you can still park at the Taos ski area and walk up Twining Road (can’t miss it as the ski area is located at the end of a valley – no way out but back the way you came and Twining Road is the only road that continues up the valley). Twining Road is a dirt road plowed in winter and will bring you to a restaurant located at the base of one of the ski lifts – at 10,000′. And, the views are spectacular. Mt. Wheeler at 13,00+, the highest point in NM, is 3 or 4 miles away. Frankly, you can drive up to Taos and do this hike and drive back to Santa Fe in a day. Enjoy and see you in SoCal. And the epic walking andventures begin! 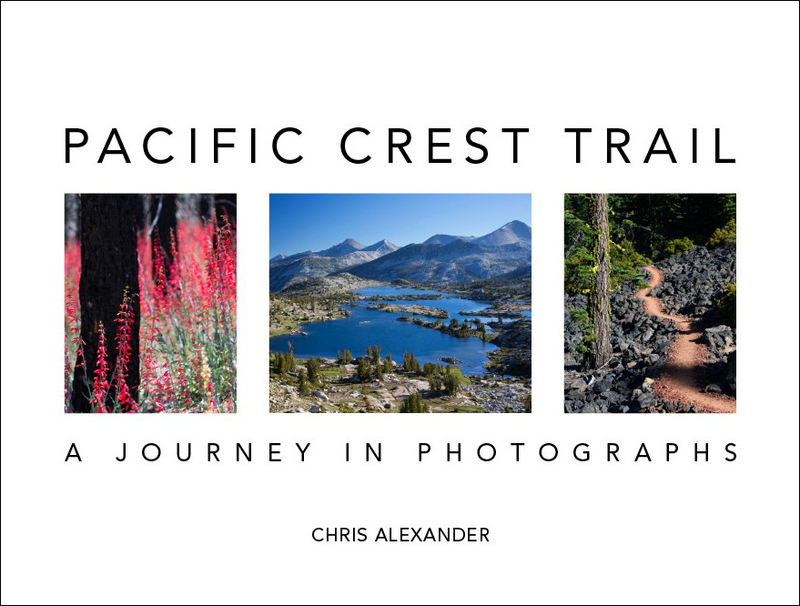 I’m curious are you also taking the bus and rail to get the cities before the PCT? We would have liked to do bus and rail, but it wasn’t practical because some of the cities we’re checking out have very limited public transportation. 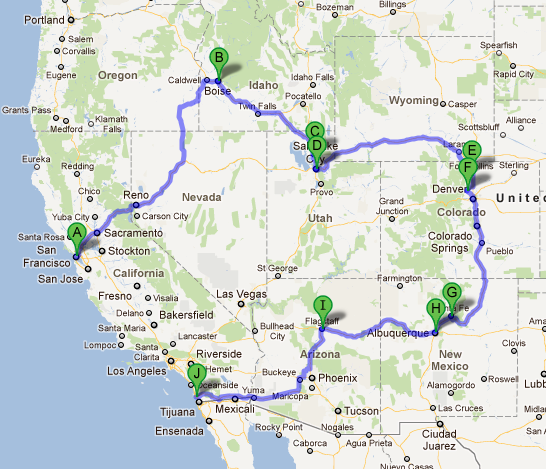 After the PCT, we plan to do a cross-country train and bus trip. That will be much easier since we’ll know people in the cities we’re visiting. Two of the criteria in our ideal city spreadsheet are bike friendliness and quality of public transportation. We will definitely minimize our car use, wherever we end up. While in Flagstaff, I highly recommend a hike of the Grand Canyon. A day hike down the South Kaibab trail to the Colorado River and a return to the South Rim via Bright Angel Trail should be very doable for you. 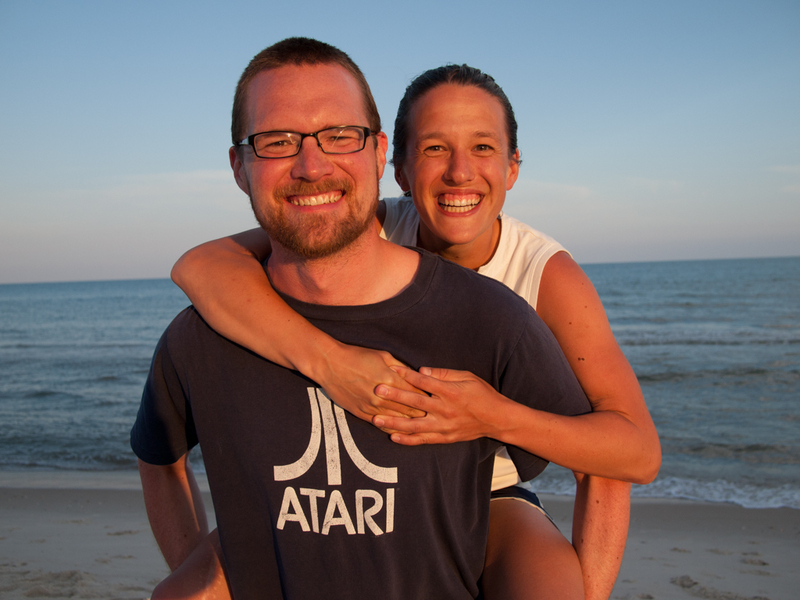 Sounds great, we wanted to visit the Grand Canyon, but didn’t know which trails to hit. This seems like it will be just right. Thanks! While not known for its night life, downtown does have some interesting things for tourists to see. Temple Square, along with the new Tabernacle area, is the obvious highlight, with the visitor’s center staff and missionaries being all too happy to explain every part of the mormon craziness to you. Except for the super secret cult stuff, of course. The Church headquarters (tallest building around, can’t miss it) has a 26th floor observation deck overlooking the entire city (http://www.lds.org/placestovisit/eng/visitors-centers/church-office-building). Someone mentioned Antelope Island in the Great Salt Lake. It’s not the most aromatically pleasing landscape, but the views are tremendous, especially at sunset. For higher-up views, drive through the historical “Avenues” neighborhood to the U on the mountain. Charming old homes and steep roads should at least make you feel a little like you’re back in SFO. At least seven major canyons are within an easy and short drive from the city. Big Cottonwood, Little Cottonwood, and Milcreek Canyons have some nice day hikes. Also, Park City is less than an hour away, full of art galleries and crisper air. If I must-have-sauerkraut-to-live, Siegfried’s Delicatessen in downtown SLC has some of the best German food around. The staff is quite.. German, and they will nod curtly with joy as they stare you down and give you what you ask for. Just remember, it’s part of the experience.. if they were too friendly, it would just be weird. Cafe Rio is a local chain, locations are everywhere. It’s loud and the lines can be long during traditional mealtimes, but the salads are FANTASTIC. Get the “creamy dressing”. Thank me later. If you like Thai, you’ll love Dee’s cooking. And very vegetarian friendly! Ok, gotta go to the mountains to snowshoe for a few days. Enjoy Utah! Thanks so much Ang for all this! We loved Antelope Island (even in a snowstorm), Cafe Rio was super tasty and filling, and the avenues were sweet too. We are heading to Canyonlands now, but looking forward to seeing you and Charles soon. Hope you are enjoying the snowshoeing, want to hear all about it! I’m glad you liked Cafe Rio. I should have warned you that one salad is plenty for two to share :) Jealous of your Canyonlands adventure.. I’ve still never been there. We’re doing Arches next month, though. Have a fantastic time!